An intruder upends the life of a young mother and paleobotanist, prompting her to recalibrate her relationships with her family, her work, and, most importantly, herself. One evening, with her husband out of town and her kids’ babysitter gone for the day, Molly hears a noise. It could be the footsteps of an intruder…or her own fears intruding on the cozy life of her family. Molly, a paleobotanist who has recently made some especially unusual finds at the defunct gas station adjacent to a fossil quarry in which she works, sometimes hears danger in the quotidian. For instance, she’ll mistake the wail of a passing ambulance for that of her infant son or the groan of a cabinet hinge for her 4-year-old daughter’s “impatient pre-tantrum sigh.” Unsure if the threat is real or imagined, Molly scoops up her children and retreats to a corner of a bedroom, huddling in the dark, carefully considering how to protect her progeny and restore the chaotic tranquility of her home. What Molly ultimately discovers—unexpectedly emerging from the toy chest that doubles as a coffee table in her living room—propels her on a surreal adventure in which she must (rather literally) confront herself and contend with her apprehensions and strengths, limitations and capabilities as a mother. Phillips’ fuguelike novel, in which the protagonist’s tormentor may be either other or self, is a parable of parenting and the anxieties that prey on mothers and fathers, amplified by exhaustion, sleeplessness, the weight of responsibility, and shifting identities and roles. It is also a superbly engaging read—quirky, perceptive, and gently provocative. Molly may be losing her marbles, but we can’t help rooting for her to find herself. While Phillips’ exquisitely existential The Beautiful Bureaucrat (2015) found humanity, love, and hope in a dark, dystopian world, this novel locates them in the routine aspects of child-rearing, capturing not only the sense of loss and fear that often attends parenting, but also the moments of triumph and bliss. 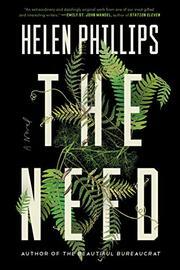 Suspenseful and mysterious, insightful and tender, Phillips’ new thriller cements her standing as a deservedly celebrated author with a singular sense of story and style.